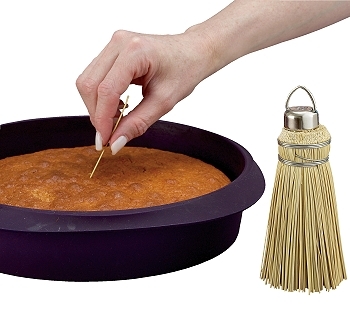 Amish Cake Tester, handmade by Amish craftsmen in Pennsylvania. 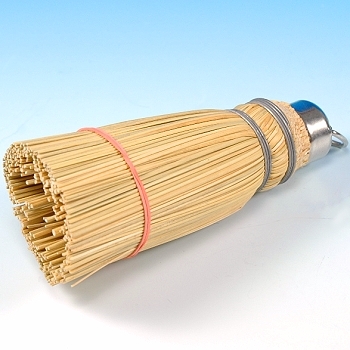 Authentic corn-husk straw, bound together to resemble a little broom. Simply break-off a straw and insert into the center of a cake, if it comes-out clean the cake is finished baking. Includes a metal hanging ring to display near your oven.